To be successful in 2019, every nonprofit needs to be able to face the harsh reality of operating as a nonprofit organization in the modern world. To get closer to achieving their missions, nonprofits need to face the core truths no matter how challenging they are. Ignoring reality is a pathway to failure. Doing that, while keeping up with the day-to-day activities, can be overwhelming and difficult. 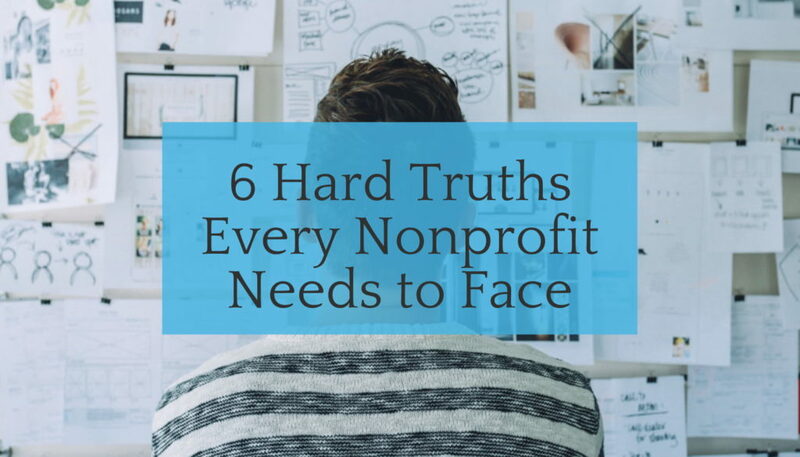 This is why we have come up with a list of 6 hard truths that every nonprofit needs to face, along with some strategies that can ensure you act accordingly. The charitable giving industry, like almost every other industry in 2018, is constantly shifting and evolving. Cryptocurrency is coming to charitable giving, landlines are dead, first-person storytelling is taking over, bots are answering your Facebook messages, donors keep changing their mind about what they want… And the speed at which this is happening is mind-boggling. Unexpected situations happen every day, and it seems that nonprofit professionals frequently fail to account for this. No matter your size or your budget, your nonprofit organization is not immune to unpredictability. By thinking ahead and staying aware of the happenings and trends around you, your nonprofit can be ready for the next disruption, but thinking ahead and staying aware alone are not enough. You must also be agile to survive in this uncertain space. Your nonprofit should never find itself in a ‘what just happened?’ position. Nonprofits that are too siloed and organizationally too rigid won’t succeed in today’s world – and this is the hard truth. In keeping with the principle of being agile, start small. Begin with transforming one team, not your entire nonprofit, then learn and iterate. And make sure everyone understands where you’re going and what you’re doing. Stay open-minded and to embrace feedback. Be comfortable asking questions, especially those that challenge the status quo. Build bridges between your own departments, between yourself and businesses, and between your nonprofit and other nonprofit organizations. Doing this helps information flow, and breaks down the silos that inhibit innovation and create inefficiencies. This, in turn, helps your nonprofit survive and thrive in a space of constant disruption and change. While the online hasn’t completely put an end to the old ways, it’s relatively safe to say that if you’re not online today – you don’t exist. This is the hard truth of running an organization in 2018. While the older demographic (donors over 55) can still be reached through traditional fundraising methods like direct mailing, most of your younger audience can’t. And online methods are more cost-efficient and trackable. For example, you can easily tell how many people opened your email and clicked through to your website, but it’s much harder to know how many people read your physical letter. In addition to that, Millennials became the largest generation in the workforce, and they are more willing and likely to give online than Gen Xer’s or Baby Boomers. Everyone’s on socials – and not just on the ‘basics’ like Facebook and Twitter. There’s Instagram, Pinterest, Snapchat, Tumblr, LinkedIn and more. The sheer amount of social media platforms can be daunting for many organizations. And it’s not only about having a profile on social media networks and having a website – it’s about being active on them. An outdated presence online is off-putting and doesn’t inspire confidence and trust amongst your donors. High-quality content coupled with an active and frequent posting and sharing schedule is the way to go. Post great content several times a day, stay in contact one-on-one with loyal supporters, and be active in your campaigns. Keeping your social media current, relevant and enticing to potential donors and supporters. Create a social media calendar or, funds allowing, hire a social media star to lead your efforts. You might have an excellent website, a work-of-art communication and fundraising plan that attracts thousands to your website, but if your donation processing system doesn’t work – you might be unwillingly and unnecessarily alienating donors and missing out on a lot of donations. Online giving grew 7.9% in 2016 and has seen consistent year over year growth. Invest in a powerful and effective online donation system for your nonprofit. In addition to being free, which is incredibly valuable for nonprofits who often struggle with resources, Donorbox offers simple and beautiful donation forms which today’s donors appreciate. It’s also secure, using Stripe’s secure token mechanism. Finally, improving your donation page is probably the single biggest bang-for-buck improvement you can make to your website. Make sure the experience a prospect has on your website is user-friendly and smooth. Don’t hide your donation button – a donor should be able to find your donation link within a couple of seconds of your donation page loading. Design your donation page so as to be consistent with the rest of the website. It is also crucial to design a donation page that is mobile-friendly/responsive. This means the donation page will resize according to the device being used, allowing for optimal viewing. Keep the donation page to one page, keep it simple and clear, with a call to action displayed front and central. Use powerful images and offer multiple payment options. Read more about how to design a great donation page here. This is a hard truth that many nonprofit professionals sometimes forget. And even if they don’t, they sometimes start treating their donors as ‘cash cows’ or an afterthought. A quick look at a couple of nonprofit websites reveals this. Many organizations talk a lot about themselves; their websites are all ‘me, me, me’. 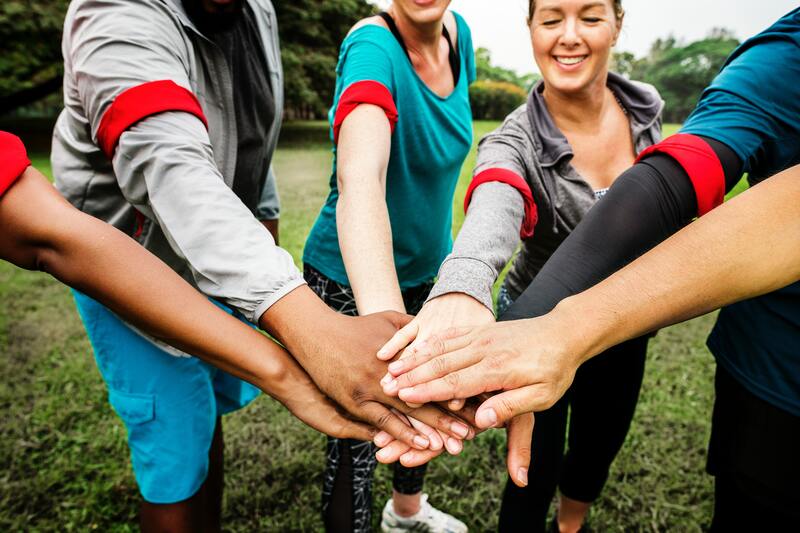 Although nonprofit teams do a lot of work to deliver their nonprofit’s mission, donors are a cornerstone of any organization. They keep the doors open. Gifts of all sizes and frequency matter. This is not to say that you have to grant the exact same ‘red carpet’ treatment to every donor (this would be unsustainable) but every donor should be appreciated. Nonprofits who are successful today understand the importance of engaging donors and delivering value to them over time. Rather than asking for money right away, create other methods of engagement for your donors. Start “conversations” that give your donors a chance to get to know your organization and build the connection to your work and your mission. Nurture the relationship with your donors by staying in touch with them and thanking them for their contribution. Start by getting in touch with first-time donors immediately after their first contribution. Contact as many donors as possible as frequently as you can – through sending out e-newsletters or scheduling donor ‘thank you’ phone calls into your team’s calendar every week. On social media, reply to comments and messages as fast as you can and build authentic connections with your audience. Ask for and then share user-generated content. Have a look at more ways to thank your donors and build a relationship with them. By their nature, nonprofits are very cautious about the way they spend their money, and this is understandable. 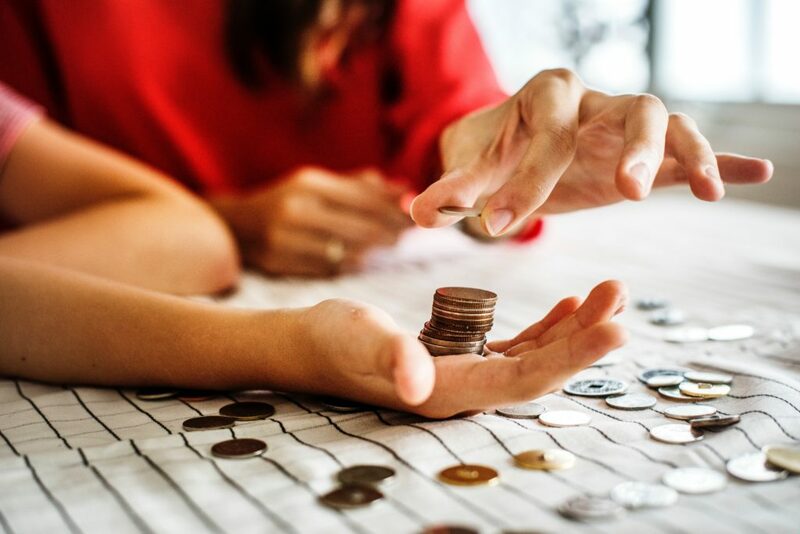 Many find it difficult to talk about money in the nonprofit sector, even if a lot of what nonprofits do is finding money to further their missions. For example, while it seems reasonable to have an operating reserve as an organization, many professionals in the nonprofit sector think it’s inappropriate for a nonprofit to operate a surplus, to show donors that they have any money in their account ‘extra’. Board meetings get lost in discussions about why money is sitting idle in a bank account instead of being used to further the mission. Some nonprofit professionals see money as a ‘necessary evil’ or, at the very least, a dreadful chore. Finally, some people even believe that those working in the nonprofit sector shouldn’t be earning a lot and expect to hire top notch professionals for a fraction of the salary offered to them in the for-profit sector. This happens every year at thousands of organizations, and it leads to the death or stagnation of many nonprofits. Of course, the root cause of this issue is often an altruistic one. Many nonprofits are trying hard to spend as much of their fundraising revenue as possible on providing programs and services. Many are uncomfortable spending their donors’ money on paying a salary for a fundraising member of staff or investing in a new website. What many nonprofits sometimes forget is that if a nonprofit doesn’t think about money, they will stagnate, regress, or fail. For example, if you want your organization’s impact to grow, you need to invest in fundraising. If you want to do further your mission, you need to raise more money. Start having conversations about money with your Board, your team, your donors, other nonprofits, and your partners. The nonprofit sector must get over the money taboo if they want to deliver impact. An organization that talks about money is better-positioned to create social impact down the road – and strategic and sound financial management is the first way to get there. Consistently starting a dialogue and demonstrating how money does matter to a nonprofit – in various aspects of a nonprofit’s work. On the Donorbox blog, we’ve spoken a lot about the importance of measuring and demonstrating impact to donors and all other stakeholders. Nonprofits need to develop the ability to know whether they’re making a difference and know how to invest wisely so that they can do better over time. There are many reasons why nonprofits should invest in measuring impact: gathering data and stories to be used in marketing and communications, getting quantitative and qualitative inputs and feedback for programs and activities, and sharing information with other nonprofits. Measuring impact and then also demonstrating it is essential to attracting and retaining donors. Today’s donors care about how their money is spent. One of the best ways to demonstrate your impact is sharing visual content from the field – which supporters and donors are increasingly demanding. A picture is worth a thousand words, and demonstrating impact through photos and videos is easier and more engaging than sharing an impact report filled with graphs and industry jargon. In addition to that, it’s been shown that people can retain only 10 to 20% of the information they read or hear about, but once that information is paired with visual elements, the information retained suddenly goes up to 65%. By using visual content, you’ll be able to attract the necessary attention required to get your message through to your target audience. High-quality visual content also boosts engagement when shared on social media. Make sure your photos represent your nonprofit organization in the best possible light. Your photos are creating first impressions of your organization. 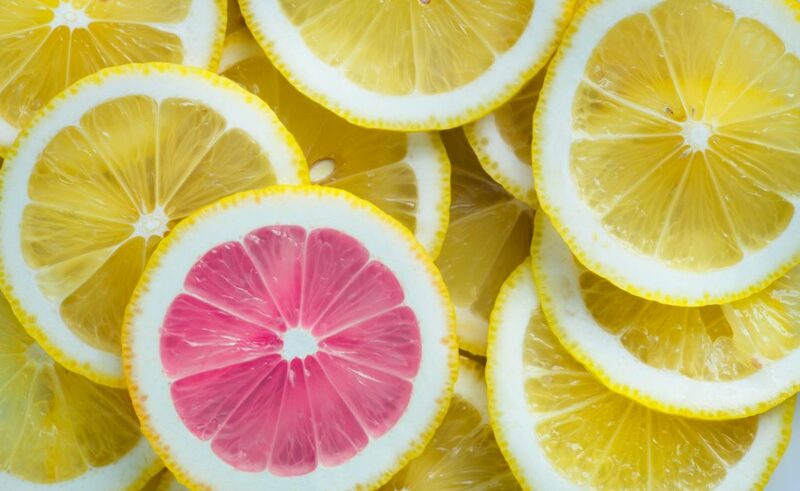 Make them sharp and professional-looking – but avoid using overused/stock-like images that bore people and don’t help your nonprofit stand out from the competition. Video is one of the most important visual tools your nonprofit can use. 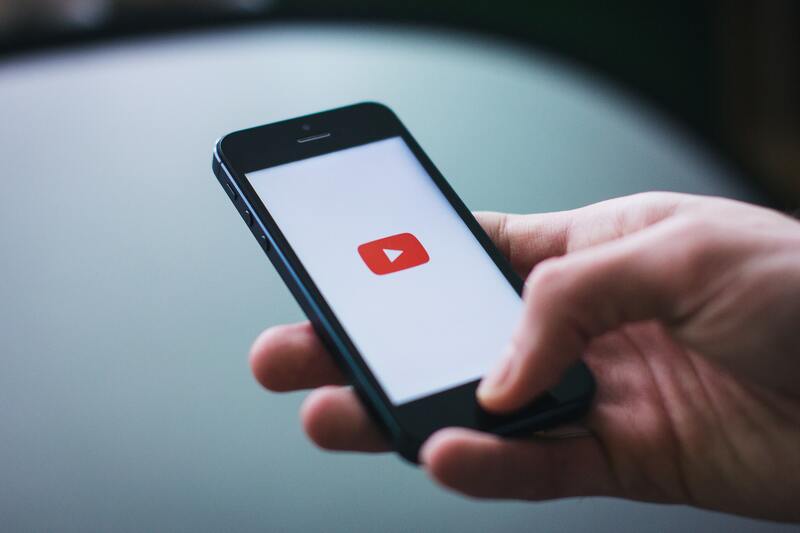 By 2019, 80% of internet traffic will consist of video traffic. Generally, online audience prefers watching videos to reading plain text. Making video the main visual aspect of your social media strategy will undoubtedly boost your donations. Moreover, videos boost engagement among social followers. Infographics help you share complex ideas to your audience. They’re an efficient way to show your donors and supporters how their donations are used, for example. Through data visualization, nonprofits can better engage their audience by simplifying complex information. Infographics can also help attract a wider audience, as they can easily be liked, shared, and spread by your supporters. 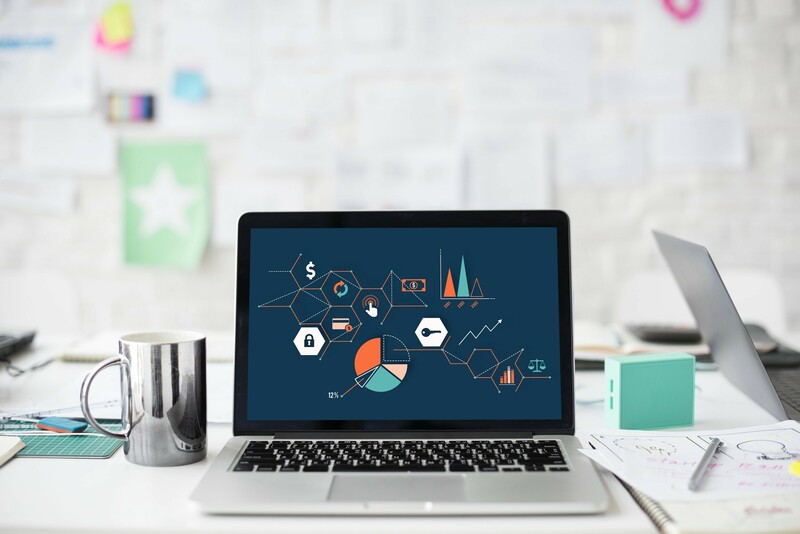 Utilizing relevant and useful infographics can develop relationships with influencers and media, simplify messages, educate the audience, create interactions, and build credibility. Nonprofits not only compete with other nonprofits for every donor’s dollar and share of attention, but also with for-profit businesses and basically everyone else on the Internet. The average person receives around 3,000 marketing messages every day not only ads, but also every time they pass by a label in a grocery store, the ads in their mailbox, the label on everything they wear, the condiments in their fridge, the cars on the highway, etc. That coupled with an increasingly short attention span makes it quite hard to stand out and capture donors’ hearts and minds. In addition to that, many nonprofit professionals have called the donors of today fickle. Today’s donors are less loyal to organizations, nonprofit and for-profit, than before. In other words, they will not keep giving to your organizations just because they’ve given to you once before. They can easily move on to another organization if you don’t put the efforts in. Donors don’t keep giving to nonprofits that deliver sub-par services or get embroiled in scandals. Before anything else, make sure your nonprofit is producing a real positive change in the world. If you say you are trying to provide primary school education to girls in Ethiopia, but you’re educating fewer girls this year than you did last year, even though you raised more money… donors can start questioning the credibility of your organization. Outcomes matter to donors, so they should to you too. If you want to stand out and keep your donors engaged with your nonprofit, it’s essential that you build emotional connections. Supporters who are emotionally engaged stay. Through impact reporting and donor engagement practices you can help your donors see the bigger picture – donors want to get involved with something bigger than themselves. Tell stories, and tell them a lot. Storytelling is a valuable tool to help donors understand the context in which you operate by seeing the challenges your beneficiaries (or your nonprofit) are facing. Stories create emotions in a way that nothing else does. In fact, without a story, there would be no emotions at all. Data can’t cause emotion unless we can connect it to a story. Stories bridge people and create empathy. They make us connect. They work with commonality – highlighting things we all share or can relate to. Stories can help you differentiate yourself from other nonprofits and retain donors. This is an incredibly meaningful tool for any organization, and especially for a nonprofit – where emotions motivate charitable actions. Beyond sending out e-newsletters and posting on social media lies a whole array of things you can do to go the extra mile and stand out. For example, you could offer tours of your offices or your program locations. You could organize events where your donors and beneficiaries meet. Additionally, you could work on your transparency and create open hours when your nonprofit staff is accessible for conversations with donors or potential supporters. You could offer leadership positions or other rewards to the most active volunteers and donors. There are many ways your nonprofit can go the extra mile. Experiment with ideas and find what works for your nonprofit. Nonprofits are becoming more and more essential to solving pressing social challenges and building thriving communities. And even though there are constantly new nonprofits springing into existence all around the world, the challenges are also mounting. Many nonprofits are having a hard time raising money. They constantly need to reinvent the ways in which they operate, including how they fundraise in the digital age, how they attract talented and engaged workforce and how they appeal to donors – to name just a few challenges. Nonprofits also need to work hard to stay relevant and engaged in their industries and their communities. With all this to face, it’s easy to get overwhelmed, doubtful, or discouraged. 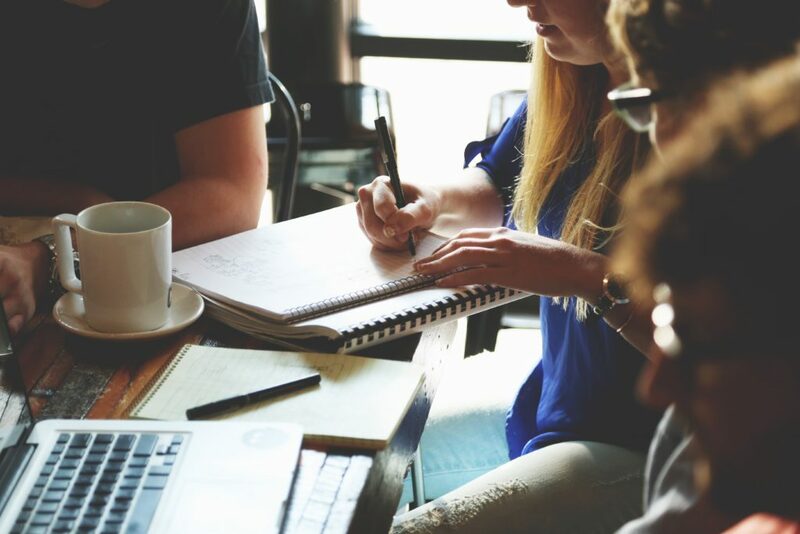 We hope our article provided you with useful insights and tips that will empower you to face any of the challenges outlined above that your nonprofit organization could be facing at the moment.